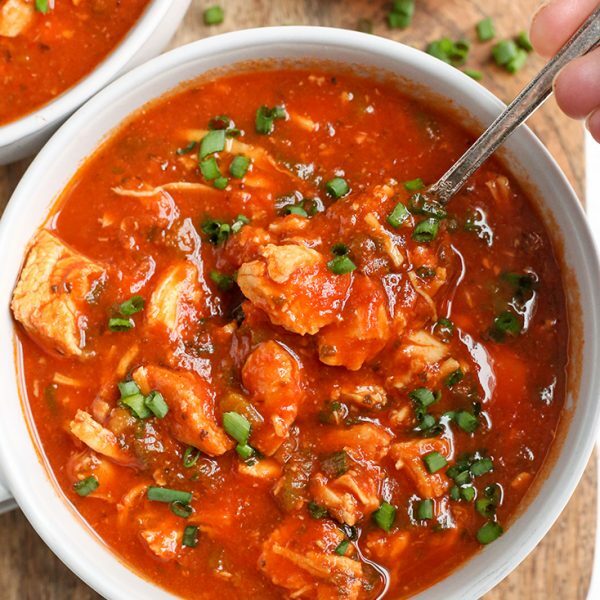 This Paleo Thai Chicken can be made in 20 minutes, is mouthwatering good, and is Whole30 compatible! 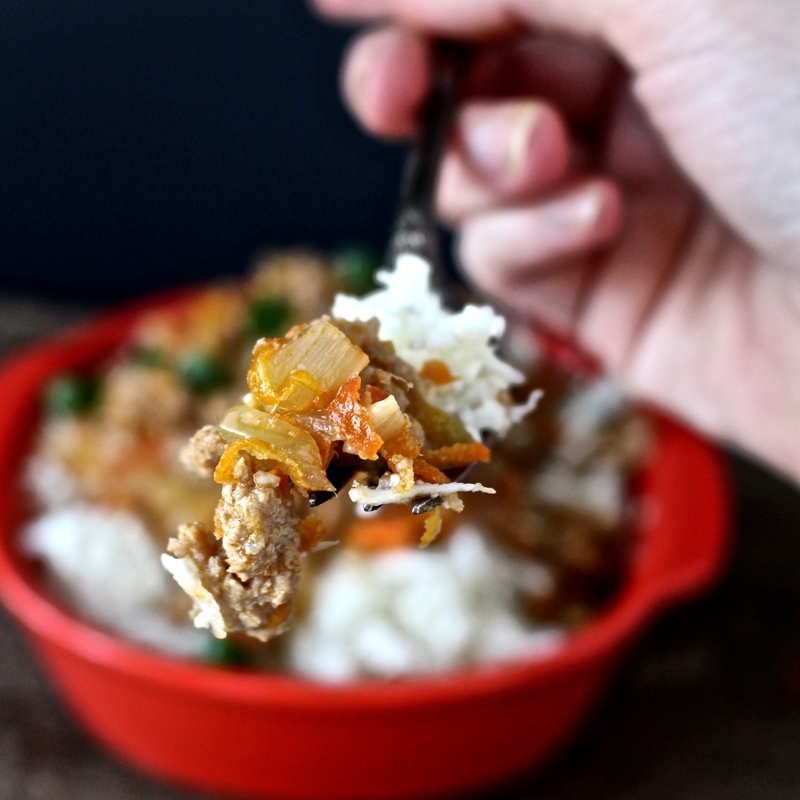 Ginger, carrots, and chili sauce combine to make a flavor packed dish. 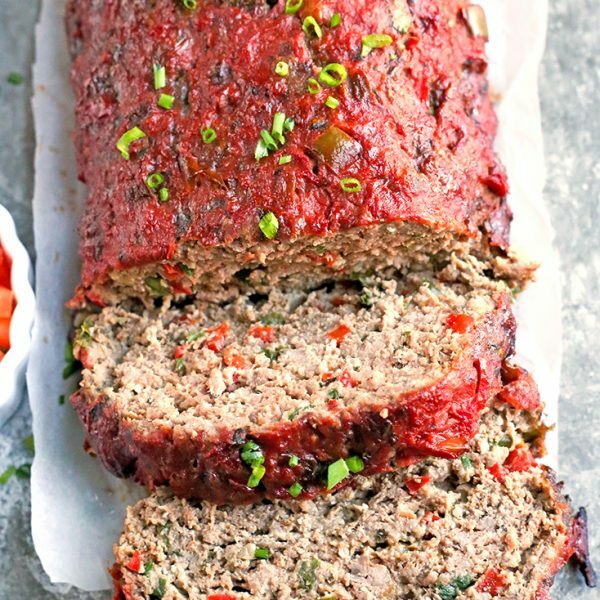 The perfect quick weeknight dinner. I love this chicken. It is so fast to make and that is just necessary sometimes. 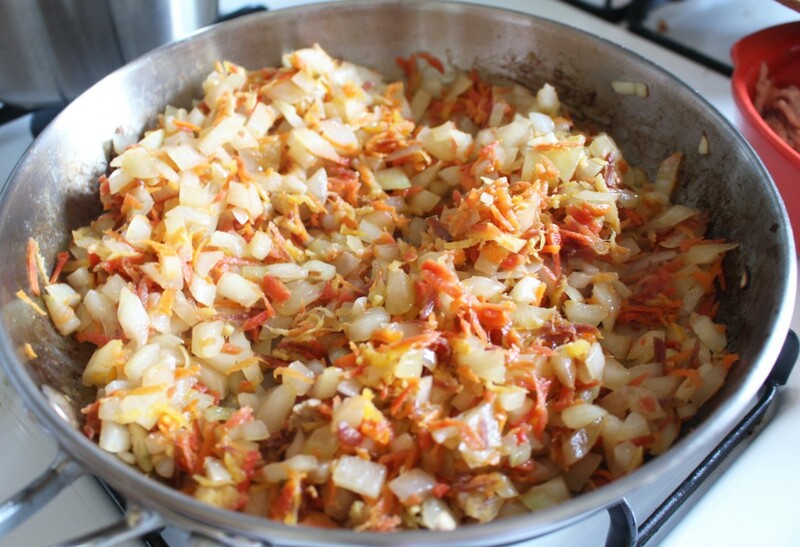 I like to chop the onion and grate the carrot and ginger ahead of time so it’s even faster on the day I make it. If you’re someone that meal preps on Sunday, just prep that part and put it in the fridge until you decide to make it. 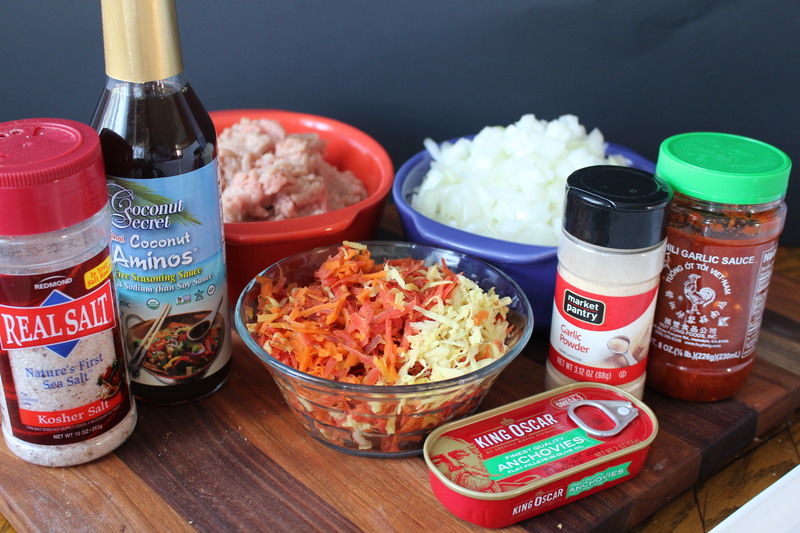 Here are the ingredients you’ll need- salt, coconut amino, ground chicken, shredded carrots and ginger, onion, garlic powder, chili garlic sauce, and half a can of anchovies. 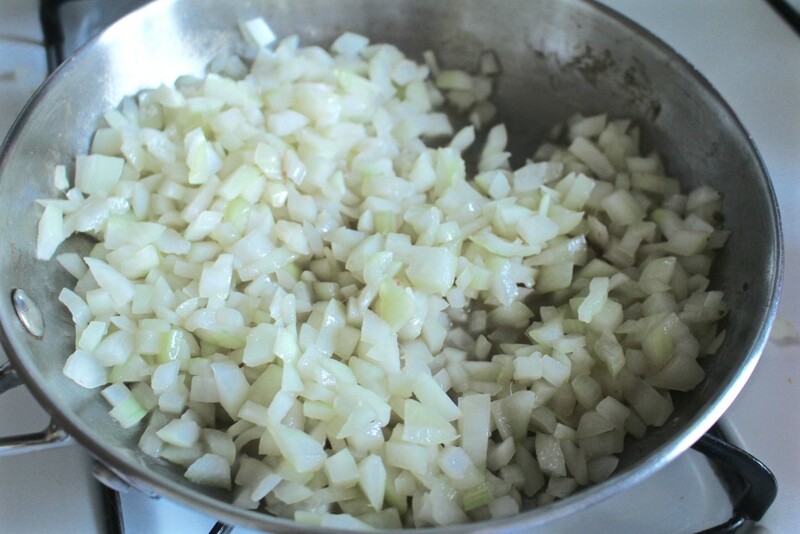 Cook the onions in a little coconut oil until soft and translucent. Add the anchovies and break up with your spoon or spatula. They should completely dissolve into the onion mixture like in the second picture. Add in the garlic powder and salt. Add the shredded carrots, ginger, coconut aminos, and then the chicken. Cook until chicken is no longer pink- this won’t take very long. 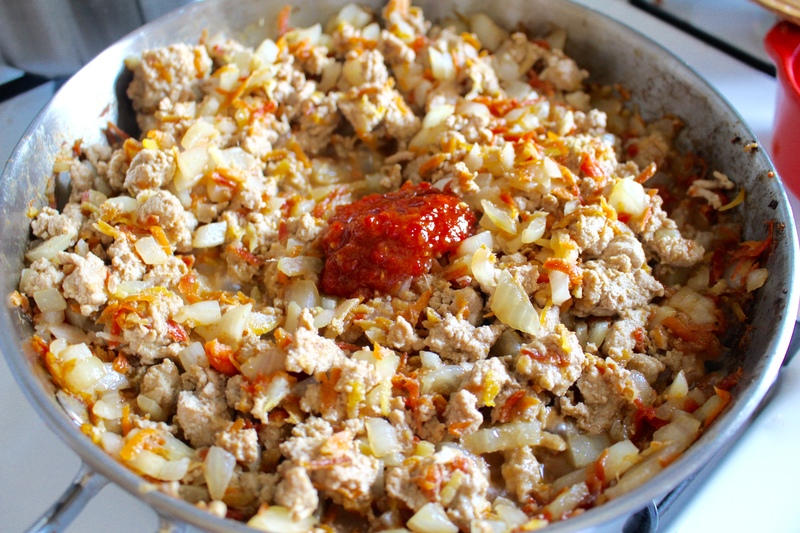 Add in the chili sauce, mix well and serve. 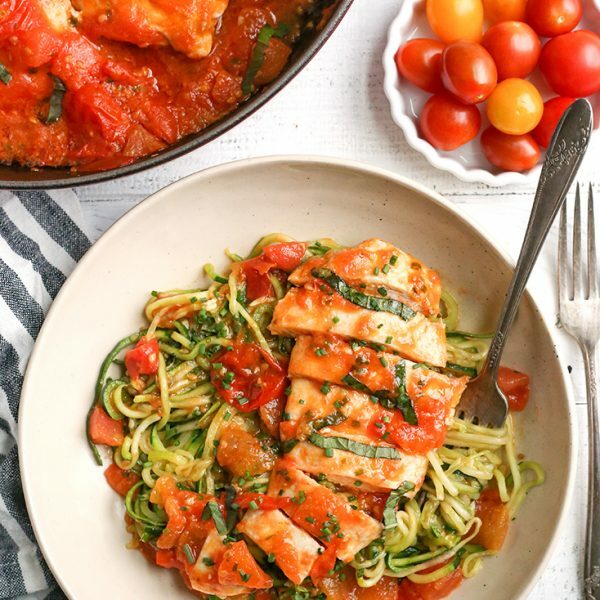 The flavors work so great together and it’s a nice change in our dinner routine. Don’t be scared of the anchovies. They completely disintegrate into the mixture and they just give it a nice savory flavor. Fish sauce could replace it if that’s something you have on hand (which, by the way, is just anchovies and sea salt). 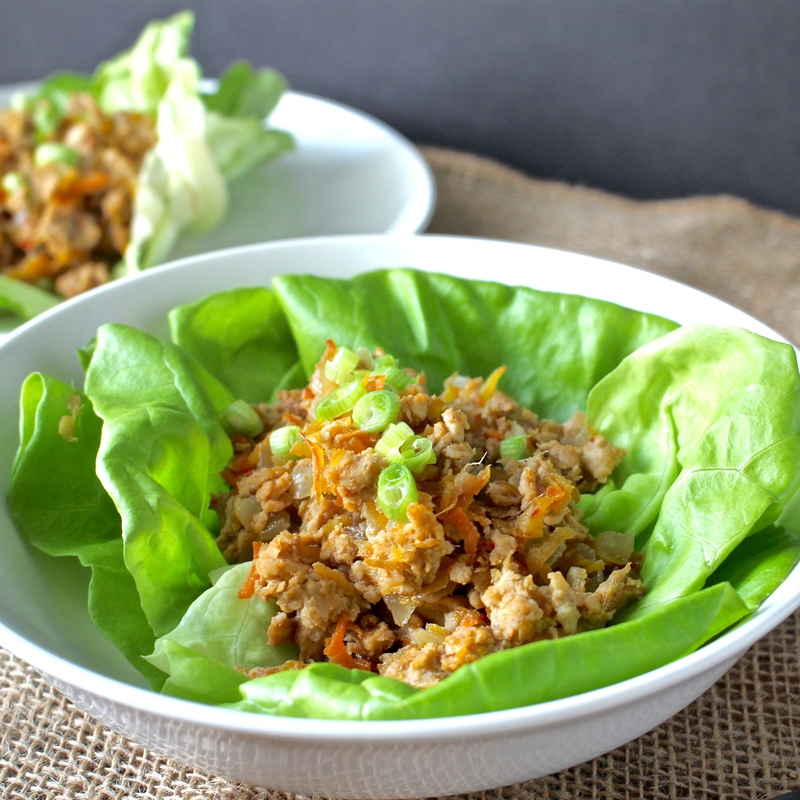 This is great served over cauliflower rice or a lettuce wrap- both are delicious! 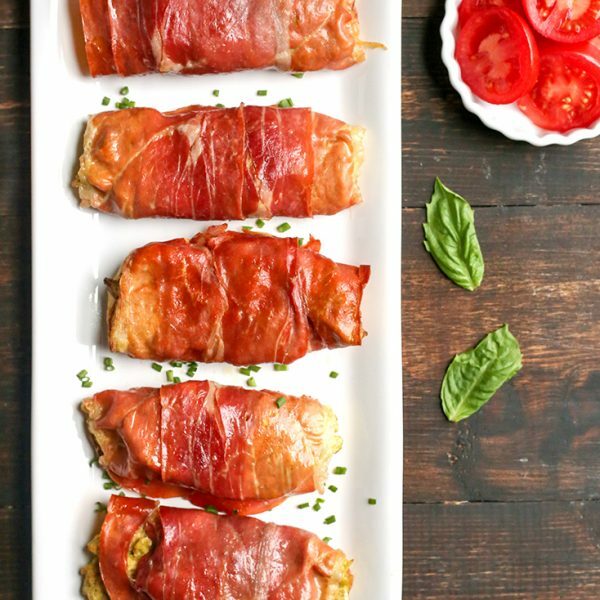 This is the perfect way to use up the half can of anchovies from the Paleo Caesar Dressing. I always make both recipes the same week. Dice onion and cook with the coconut oil in a large skillet over medium heat. Meanwhile, grate carrots and ginger and set aside. 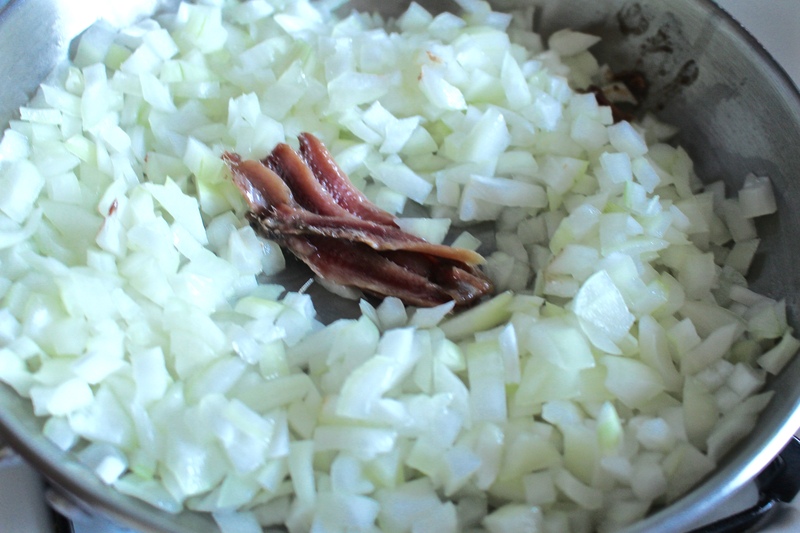 Add the anchovies to the pan and break them up using the tip of your wooden spoon. They should completely dissolve into the onion mixture. Add in the carrots, ginger, and coconut aminos. Cook for a couple minutes until carrots start to soften. Add the chicken add cook until no longer pink. 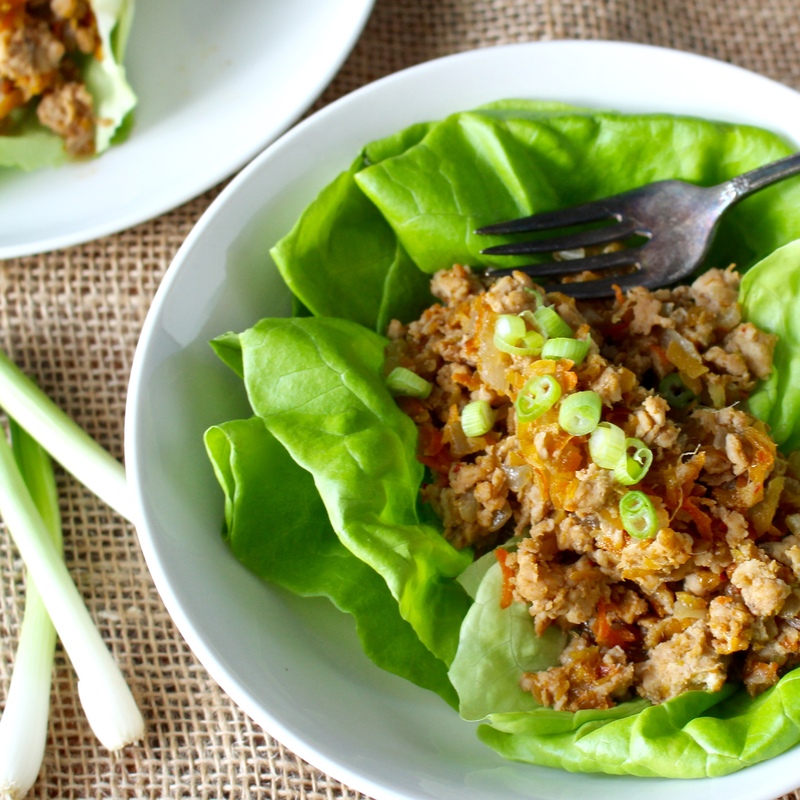 Add the chili sauce, mix well and serve over a lettuce wrap or cauliflower rice. I don’t eat any fish is there anything I can use as a substitute? I’m on the the AIP diet so I can’t have chili sauce. If I just eliminate the chili sauce will that drastically change the flavor?